Artwork commissioned from local college students underscores the connection between Family Trust Federal Credit Union and its Rock Hill, SC, community. Rock Hill is the fifth-largest city in the state of South Carolina and the fourth-largest city of the Charlotte, NC, metropolitan area. To some extent, says Lee Gardner, CEO of locally based Family Trust Federal Credit Union ($422.5M, Rock Hill, SC), this city of 69,000 residents is a bedroom community. So what did the credit union do? 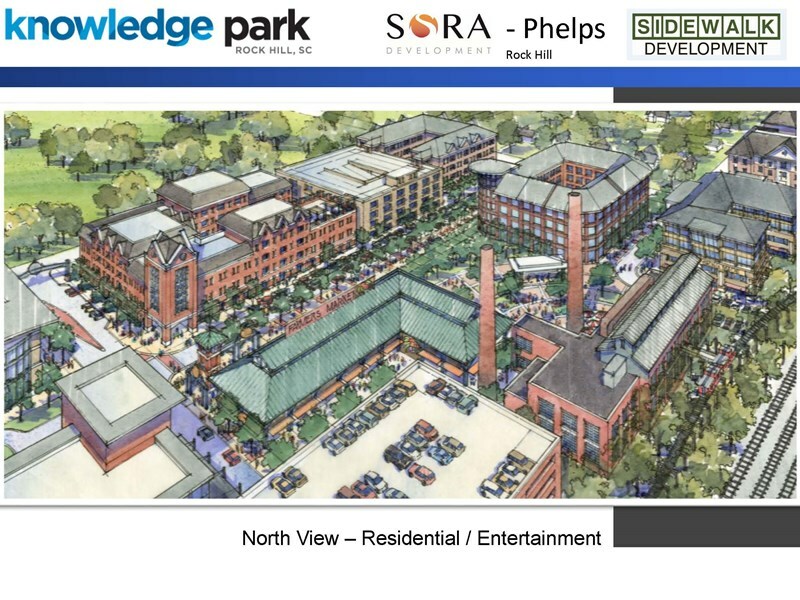 It has joined the effort to turn Rock Hill into a vibrant economic and cultural center. At one time, the economics of Rock Hill were dominated by the textile industry. In fact, Family Trust got its start as Rock Hill Printing and Finishing Company Federal Credit Union, serving the thousands of employees of its namesake. In the 1980s and 1990s, textile jobs moved overseas, Rock Hill Printing closed, and the credit union transitioned to serving its community of York County. Today, Gardner says, Rock Hill’s economy is built around sports tourism: the city claims world-class softball, soccer, and BMX facilities, as well as a 250-meter velodrome endorsed by USA Cycling. “People come here from all across the Southeast and East Coast for sports tournaments,” Gardner says. 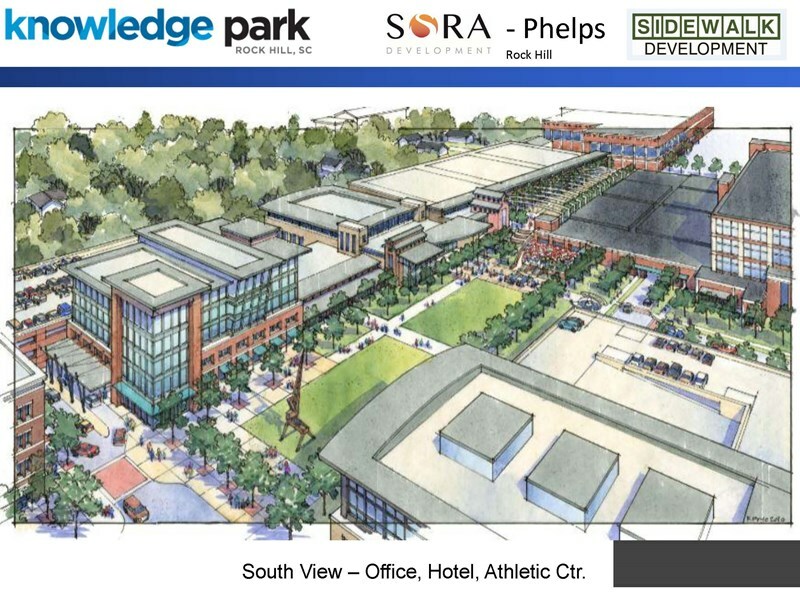 Meanwhile, Rock Hill Economic Development has worked to reposition the city as a center for knowledge-based jobs, including call centers and other entrepreneurial startups. Comporium Communications — one of the city’s largest employers — has created a Gigabyte District allowing for faster internet speeds, and plans have been laid out to redevelop a vacant and obsolete piece of real estate that connects Winthrop University and downtown Rock Hill into a University Center. This University Center will include new knowledge-based businesses, restaurants, meeting places, entertainment centers, and retail shops, and revitalize historic former textile plants and mills. Renderings of the proposed Knowledge Park development courtesy of Family Trust Federal Credit Union. Family Trust opened its new headquarters building in September 2015 on the original piece of property owned by the institution. That wasn’t always the plan, however, but as the credit union understood more about Rock Hill Economic Development’s plan for the area, it became clear this was the right site. “The city’s economic leaders told us they would like our downtown area to be a place where companies are headquartered,” Gardner says. So rather than build a branch in this location, as had been the longtime plan, Family Trust was willing to relocate its headquarters. There was just one question. For one thing, the new building would sit near the University Center redevelopment and help transform the area. For another, the location is less than a handful of blocks away from Winthrop University’s campus. The university employs nearly 925 and boasts more than 6,100 students and did not have a credit union partner. Family Trust's new headquarters at dusk. Courtesy of Aaron Reel Photography. To serve the university, the credit union first needed to start a relationship. Additionally, its new headquarters was going to need artwork. By January 2014, the credit union had chosen six Winthrop students from a pool of 10 candidates and installed their designs in August 2015, weeks before the headquarters was to open. We said we'd like to commission students to create art for our new building. We want them to study the history of Rock Hill, the Textile Corridor, and our credit union. 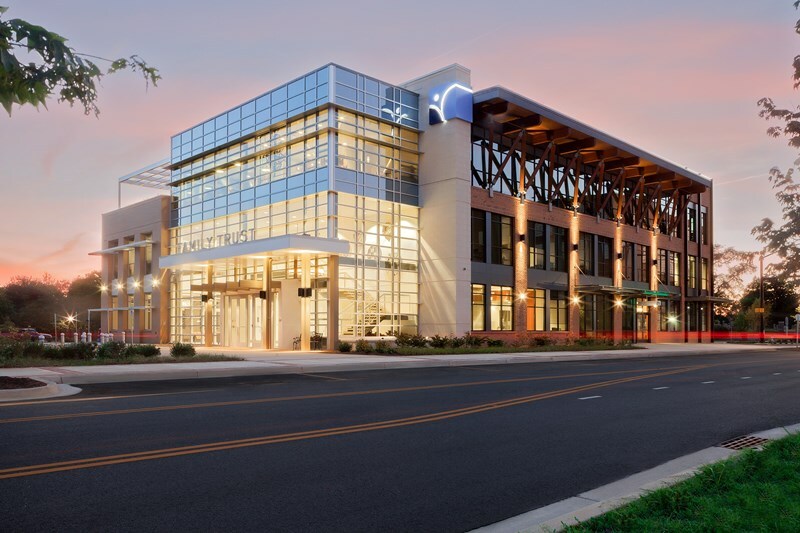 The artwork encompasses several different mediums, including railroad ties, porcelain, steel, and colored resin, and every piece of artwork has some connection to the credit union or Rock Hill. One even functions as a bike rack. All told, Family Trust spent $50,000 to commission the artwork. It asked the artists to prepare their own budgets and work with architects to make sure their artwork wouldn’t be too large or too heavy. It also asked students to sign contracts and gave them a design fee, which the credit union learned is a common practice for commissioned art. “We tried to keep this close to a real-world, professional experience they would have once they graduated,” Pettibon says. Once the credit union installed the artwork and opened its headquarters, it hosted a reception for the artists, showing off the work and letting the students talk to those in attendance — including the president of Winthrop and business leaders — about their artwork. “In other words, ‘in studying the history of Rock Hill and textiles, I learned this, came up with this idea, and this is what it represents,'” Gardner says. The event was a success for both the artists and the credit union. Having the platform to show off their work, some artists went home that night with additional offers. For the credit union, this reception was a chance to further work on its relationship with Winthrop. Family Trust is in the beginning stages of setting up a student-run branch in the student center and has since partnered with both a business and graphic design class that have helped the credit union run market and website usability studies. These partnerships have allowed the credit union to tap into a deep pool of what may otherwise be under the radar talent and provide opportunities for real world experience. Word of the artwork spread beyond Winthrop as well. In early July, the Arts Council of York County presents its Business and the Arts Award to the credit union for the commissioned artwork, and local high school teachers have taken their own students on tours of the headquarters to show them the artwork and learn a little more about Family Trust. “It helps us tell our story in a different way,” Pettibon says. Great story about a unique way of further integrating the Credit Union within the community.